Categories: Announcements, Blue Nuns, Catholic Life, community, events, Fe, Madonna Renewal Center, ministries, MRC, sisters | Tags: charity, Freeport IL, fundraising, help, Madonna Renewal Center Freeport, Pregnancy, Sisters of the Immaculate Heart of Mary, women | Permalink. 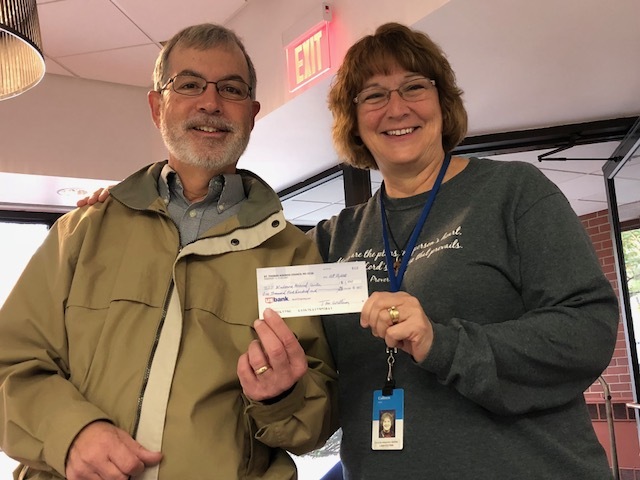 The Knights of Columbus raised money for the Madonna Renewal Center (MRC) to help pregnant women who need some help getting on their own. 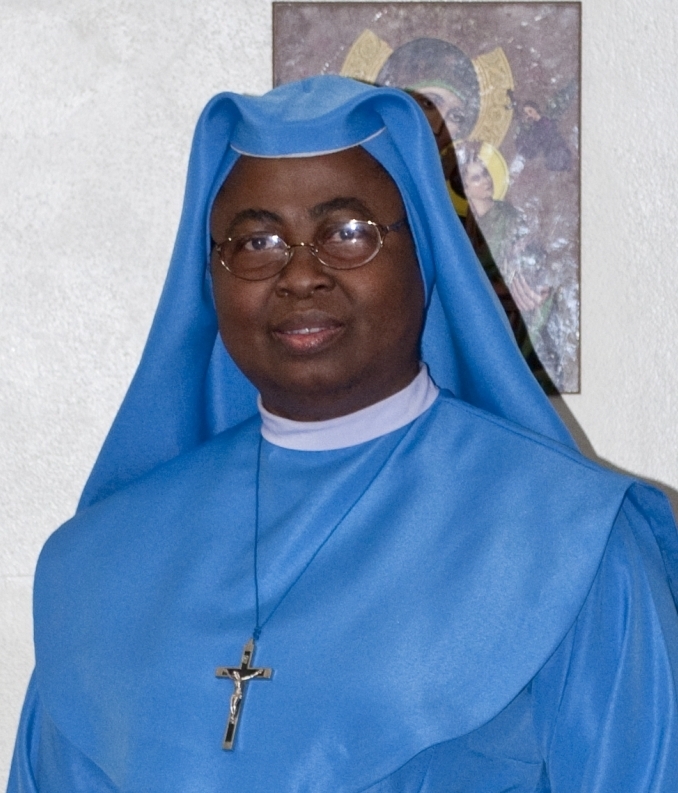 The Sisters of the Immaculate Heart of Mary, from Nigeria, completed their first phase of the old St Francis Hospital in Freeport IL. They can now take in up to ten women who are pregnant for up to two years after the birth of their child. Stipulations do apply. They will interview anybody who can make it to their doorstep, but please call ahead of time. at 1-815-297-8287. The purpose of the MRC is to help pregnant bring their children to birth and teach them how to be independent with their child. They will learn how to take care of themselves, their children and get them on the road to developing job skills. The vision the sisters have is that all this will be done with a feel of home. Home is a place of security and family. They are not an institution of hand outs where the suffering continues after the handout. They really want to make the lives of these women better for the rest of their lives. Coleen Fenn received the check for the knights for the Sisters. The MRC will be having dance this Saturday night (11/10/18) at the Eagles Club. Categories: Blue Nuns, community, events, Fe, Knights of Columbus, ministries, sisters | Permalink. 4th Annual Benefit Dance for the Madonna Renewal Center — Nov 10, 7-10pm at the Eagles Club! A dance featuring the Madmen will be held at the Eagles Club, 1200 W. Galena Ave., on November 10 from 7:0010:00pm. Tickets are $12.00 in advance and $15.00 at the door. Advance tickets will be sold at St Joseph Catholic Church, Hometown Realty, Eagles Club, and Gemorifics, all located in Freeport. A bake sale, including Christmas cookies, will be held and chances will be sold for an opportunity to win a hickory rocking chair donated by Rite-Way. All profits will benefit the Madonna Renewal Center in Freeport. Categories: Announcements, Blue Nuns, Catholic Church, Catholic Life, community, Fe, Madonna Renewal Center, MRC, sisters | Tags: dance, Freeport IL, Madonna Renewal Center, MRC, Pregnant women | Permalink. Categories: Catholic Life, Fe, News, Pro-Life, sisters | Tags: Abortion, anti-religion, Government, law, money, politics, Pro-Life, religion, Religious Sisters, state, supression | Permalink. We are sincerely grateful to the Marian Society for organizing the Baby Shower for the Madonna Renewal Center. The beautiful gifts of different baby items to serve this Mission meant so much to us. The items will go a long way to help the guests and their infants to settle in. Thank you for reaching out in love for the UNBORN. God bless you. Our Heart is full of gratitude to our Parish Community of St.Joseph-St Mary Freeport. The Blue Nuns and all the MRC Family appreciate all your love and support. Thank you for your encouragement and patience for the past four years. Your participation in our events, deserts provided, individual donations, volunteered time, and the beautiful flowers delivered to us for the OPEN HOUSE EVENT on Saturday, June 23, made our day and added color to our event. We are also grateful to the couple who sponsored our first Come and See event in 2014. Your support, the visit of Bishop David Malloy, the weather, the turn-out made the day a huge success. We thank our pastor, Fr. Timothy Barr, for his prayers, presence and skills used on the project. God bless you all. Categories: Announcements, Blue Nuns, community, events, Madonna Renewal Center, ministries, MRC, sisters | Permalink. The Marian Society will meet on Thursday, June 14, at 7:00pm in Berg Hall. Sister Theo and Colleen Fenn will bring us up-to-date on the renovation of the former St Francis School in order to become the Madonna Renewal Center, a residential facility for women facing unplanned pregnancies. After several years of fundraising, setbacks and much hard work, the Blue Nuns are ready to open their doors to women in need of a safe haven. Big plans are underway for the opening day on Saturday, June 23. However, the Sisters are still in need of the following items: baby bottles, diapers (lots of diapers) sizes preemie to 2 years, onesies size 0 to 12 mos., baby rattles, and towels and washcloths for infants and adults. Please help to SHOWER the Sisters with a gift of one of these items. If you cannot attend the meeting and wish to participate in the shower, please take your gift to the Church Office by Noon on June 14. Hostesses for the evening are Mary Connors, Toni Ginger, Betty McKenna and Sandy Roser. All women of St Joseph and St Mary Churches are invited to attend. Categories: Announcements, Blue Nuns, Catholic Life, community, events, Fe, Madonna Renewal Center, ministries, MRC, sisters | Permalink. Buy A Bed For The Blue Nuns! The Madonna Renewal Center will be opening in June and is still in need of eight twin beds. Mattress by Appointment Freeport can purchase a quality twin set at their cost of $145. Any contributions toward these costs will be greatly appreciated. To donate please call Chris Eilers at 815-291-9841. Categories: Announcements, Blue Nuns, Catholic Life, community, Fe, Madonna Renewal Center, ministries, MRC, sisters | Permalink.